I am not by nature a huge fan of racing games. Mario Kart is a pretty good example of how realistic I want them to be. I have played some like Forza, Gran Turismo and Project Gotham Racing, and I am neither terribly good at nor particularly enamored with them. They are generally fun in small bursts, but I do not log hours upon hours with most racing games. 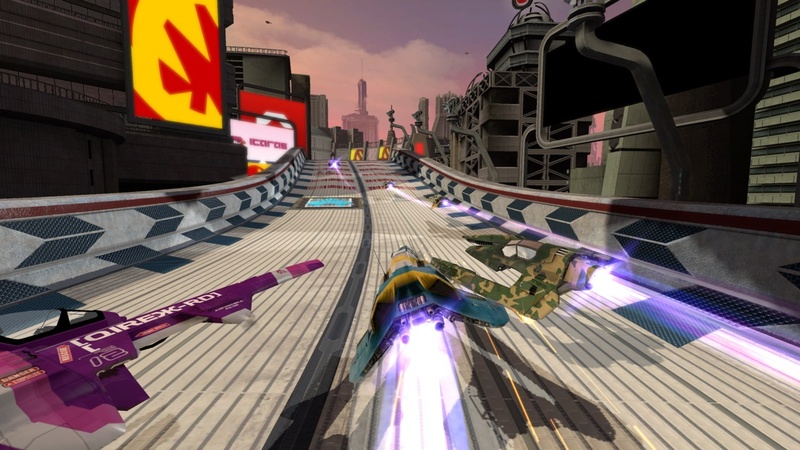 The WipEout series has been around for a while, and I briefly played it on PSP when at a friend's house. 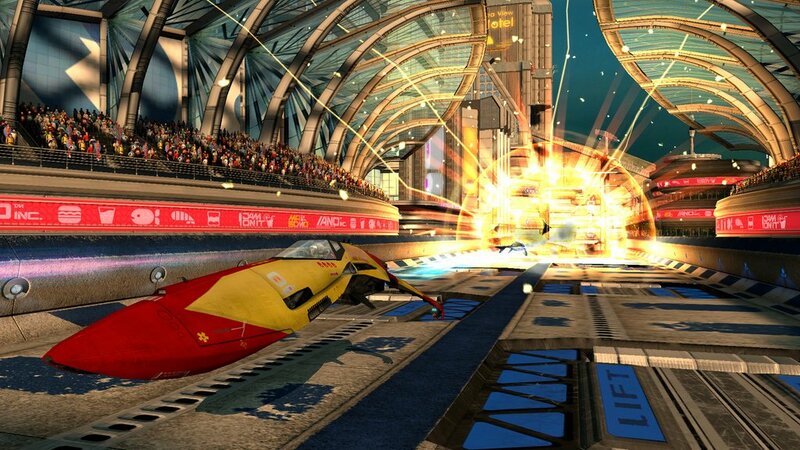 Thankfully it has more in common with combat/kart racing than actual racing as the series takes place in a futuristic setting. In other words, this is much more my kind of racing game. 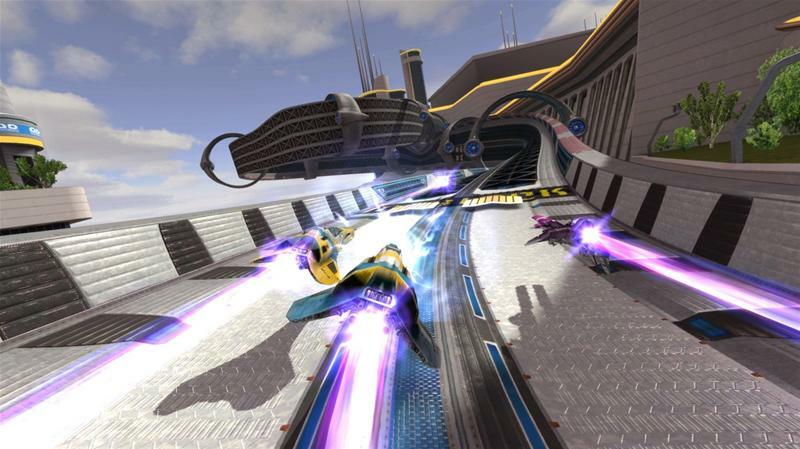 WipEout HD has been out for a while now, but visually it is still pretty impressive - especially for a downloadable title. Everything looks and feels technologically advanced and there is an awesome sense of speed as you zip down these futuristic tracks. The framerate is also worth noting. Man this game holds up at high speeds without any slowdown at all. The 3D Perspective: The graphics look really sharp here. 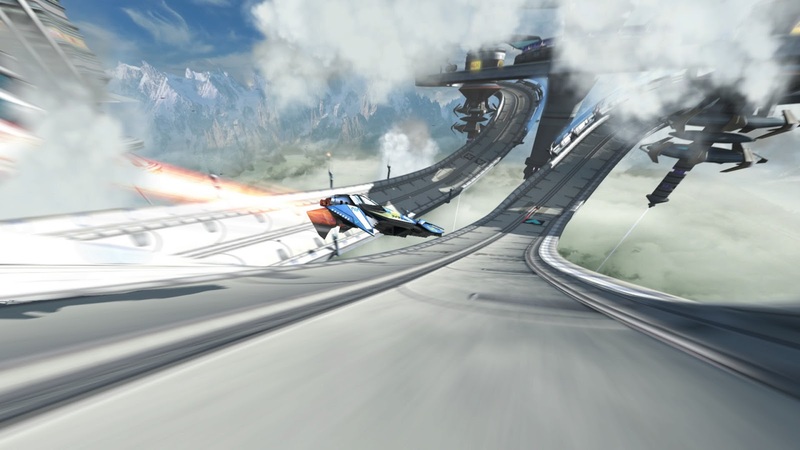 The sense of depth while racing looks good, and watching vehicles jockeying for position in 3D is an excellent effect. No real hiccups popped up from it. 8 out of 10. The sound effects are pretty good, and the music is even better. The soundtrack feels appropriate for the game's setting and visuals. The pace of the music also deserves some note, as it just lends itself to the feeling of speed in the races. 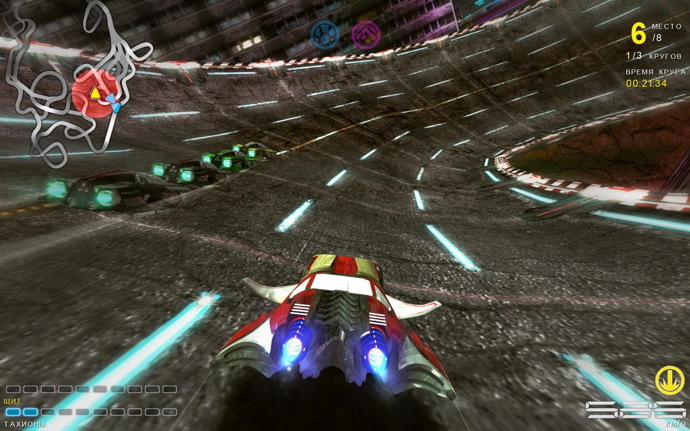 The sound effects mostly shine through in the vehicles and also their powerups when they get activated. I really like how the vehicles control. They have this perfect balance of control, but still look and feel like they are in fact hovering off of the tracks. The tracks are designed very well, never feeling cheap or a chore to race. There are several different race types, and while there are some similarities between them, they do help to keep things fresh. There is an online mode, and for as old as this title is, I was a little surprised to see it active at all, but I did manage to get some good races in. There are several different race types and vehicles that can be unlocked over time, and that helps keep things interesting as well. I also have the updated version of the game, with an additional set of events you can take part in - well worth it if you like the game itself. 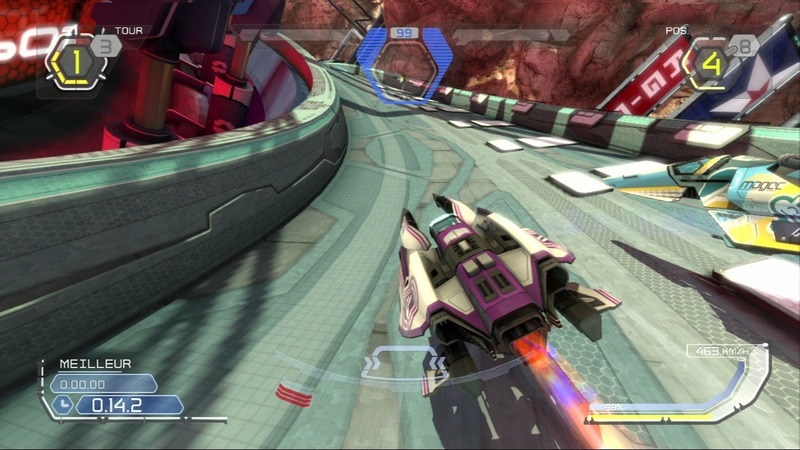 This is a really solid racing game, and I am someone who generally does not enjoy the genre a lot. 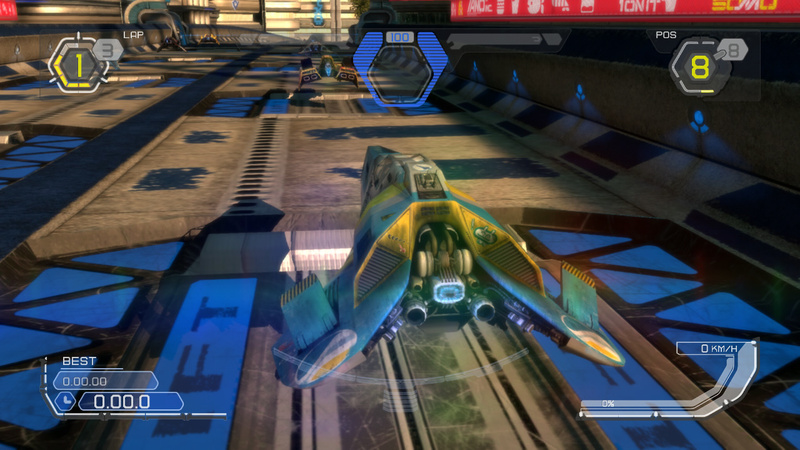 The futuristic look and feel certainly helped, and the controls just feel right all around. Add to it the quality audio and visual presentation, and this is a game that has held up pretty good over the last few years.